IDENTITY AND ACCESS MANAGEMENT SPECIALISTS. Azimuth Labs. Specialists in Identity and Access Management. Azimuth Labs is a boutique IT consulting firm based in Singapore. We specialize in Identity and Security. 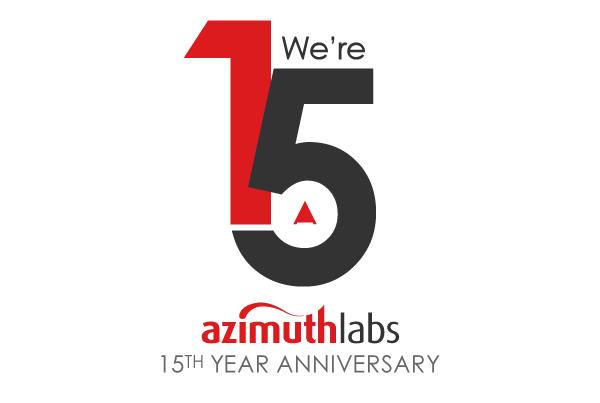 Since 2004, Azimuth Labs has been providing enterprise software solutions in Asia South (Singapore, Malaysia, Thailand, Philippines, Vietnam, Indonesia, Brunei, Cambodia, and Sri Lanka). Most recently, we have moved on to provide professional services to the Greater China region (China, Hong Kong and Taiwan). We are the authorized service delivery partner of CA Technologies and have successfully implemented numerous large-scale security (SiteMinder, Identity Suite, API Management, Privileged Access Management) projects for local defense ministry, banks, life insurance, hospitality and telecommunications companies. Azimuth Labs is a partner of One Identity and appointed service delivery partner for Singapore, with focus on Identity Governance and Privileged Access Management. Azimuth Labs is a partner of ForgeRock and OpenAM/OpenIDM Product Specialist accreditated. Most recently, Azimuth Labs established partnerships with Amazon Web Services and Red Hat to provide consulting services in the areas of Identity & Access Management and Agile Integration. We have also formed partnership with Gluu to offer enterprise-ready, open-source software for Identity & Access Management in the Southeast Asia region. We are a team of highly specialized consultants, providing Enterprise IT solutions, focusing in the niche market. Our strength is in in-depth product specialization for Identity and Security services. An identity solution consists of API Management, Identity Management, Identity Analytics, Access Management, Enterprise Single Sign-On, and Directory Service. Our consultants have deployed numerous Identity solutions to banks, insurance agencies, defense entities, stock exchanges and telcos in the Asia-Pacific region. It is fairly common to have different types of Directory services running in a single corporate environment. Our consultants have the experience to keep them in-sync. Security is about building trust and boosting loyalty that recoginzes typical customer behavior and to better detect fraud. Besides having systems that are fault-tolerant, customers want their Operating Systems to be hardened for security reason and applications to be tuned for greater performance. This is where our consultants with years of experience fit in. We give our best to minimize clients' stress. If you are looking for a capable Security Services vendor, talk to us today! Our customer-centric attitude has led us to provide an engaging relationship to assure expectations are met at every stage of development. We ensure every project make strong business sense to support your development initiatives, giving you the edge to excel in this ever changing world. Azimuth Labs is a specialized team delivering big things. We are looking for great individuals to help define the future of our company. We care about our customer experiences - thus we believe job satisfaction is just as important. If you think you're a good fit for Azimuth, you will be offered a competitive remuneration package with flexible working hours. On the job training will be provided. The company encourages and will pay for employees to attend relevant courses related to their work. We work hard to find the right people to join our team and we work equally hard to keep them! To apply for a position, please send us your curriculum vitae in PDF only. By the way, we play sports. If you are into sports, that would be great! Based in Singapore, Azimuth Labs is a boutique IT consulting firm based in Singapore. We specialize in Identity and Security. Azimuth Labs Pte Ltd © Copyright 2015. All Rights Reserved.